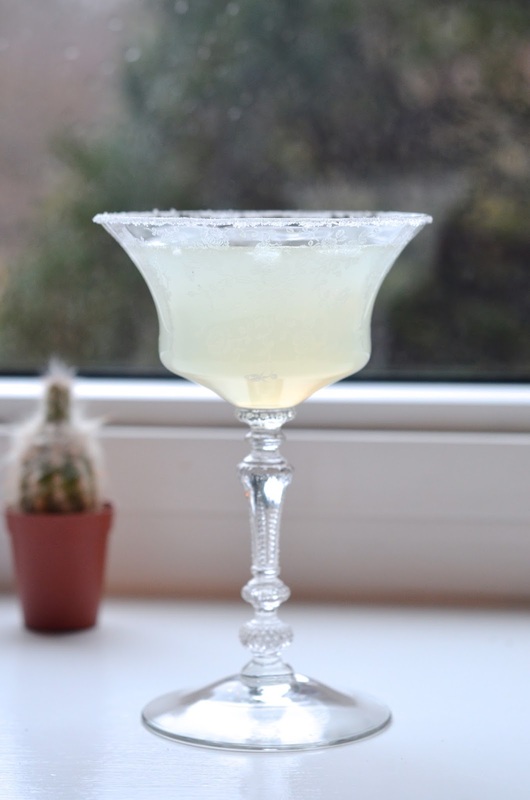 While the weather we've been having may be gloomy, this week's cocktail is anything but. 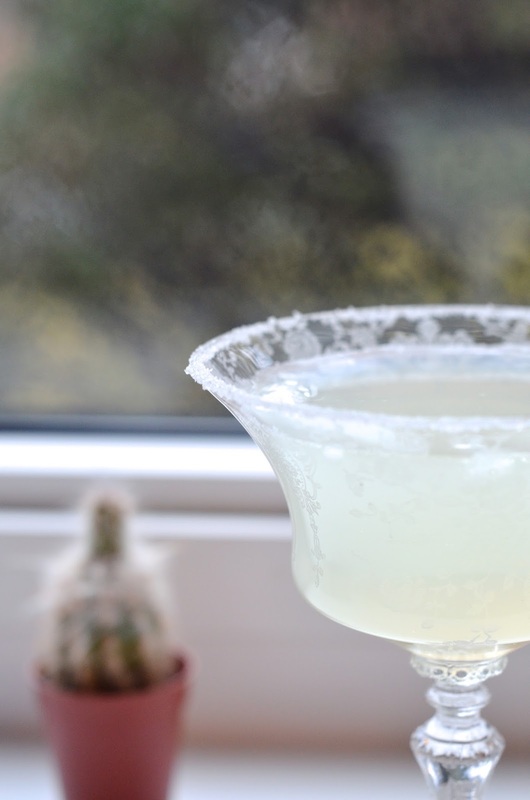 Lately I've been leaning towards bright, happy, citrus filled cocktails, which you may have noticed if you follow me on pinterest. Martinis aren't usually a drink I find myself craving, vodka is typically not my drink of choice, but with a little lemon and sugar I can be persuaded. I've mentioned in the past I'm not a fan of sugar rims on glasses - that cinnamon sugar craze that swept the nation a few years back, served up with pumpkin ales cured me of that. Who wants to wash their hands after every sip? Though, I have come to realize since that there is a simple way to avoid that happening - don't douse your glass in water and it won't drip down the sides. But in a crowded bar, their biggest concern isn't to keep your glass nice and neat. It's funny how one bad experience can ruin a thing for you, like a really cute haircut on an awful person. It leaves a sour taste. Unexpectedly appropriate lemon joke. Fill a shaker with ice. Add vodka, triple sec, simple syrup, and lemon juice. Shake until the ice breaks up a bit. 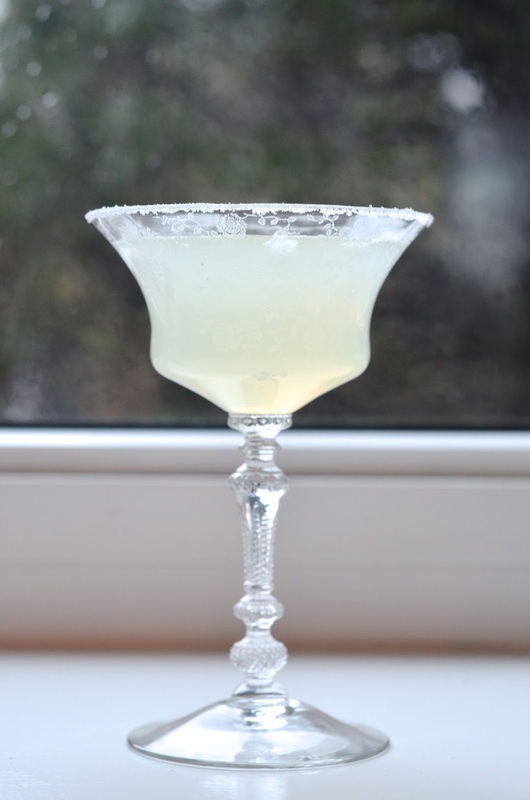 Carefully rub the rim of the glass with lemon juice and dip in sugar to coat the rim. Strain mixture into the glass and enjoy! Ooh! I need to make this over the weekend!! This looks sooo good!!!! This looks so delicious! I need to try this for spring! I love martinis - usually apple or watermelon but lemon drop would be right up my alley too! One another note, I'm in serious love with your glasses, so pretty! Yum!! Definitely going to try this drink this weekend!! Love the glass too, so pretty!